In 2011 I had to relocate my studio across town. Once all the dust had settled I was faced with the challenge of getting back to work in an unfamiliar space. I have a long running series of Squid sculptures in my portfolio so I chose this familiar place to begin my work again. My facility being in its infancy, a Baby Squid seemed appropriate (perhaps an offspring of my earlier Giant Squid piece). 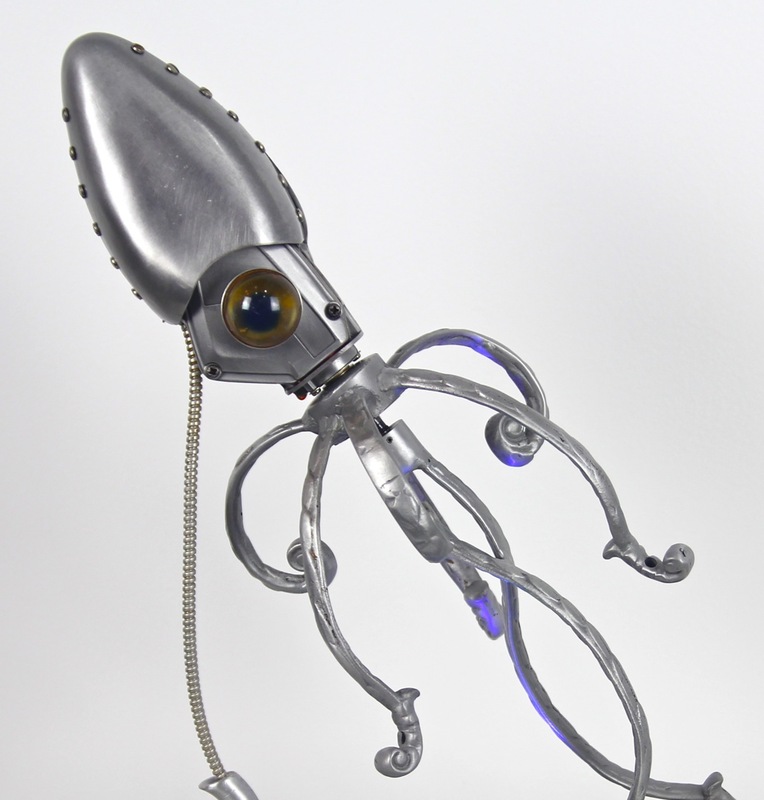 This piece was designed around an aluminum fishing reel mechanism. 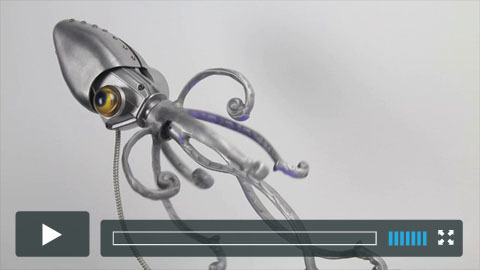 If you watch closely you can see that the head travels in an up-and-down motion in addition to the rotating tentacles and eye. It was difficult to capture the lighting effect in its base. 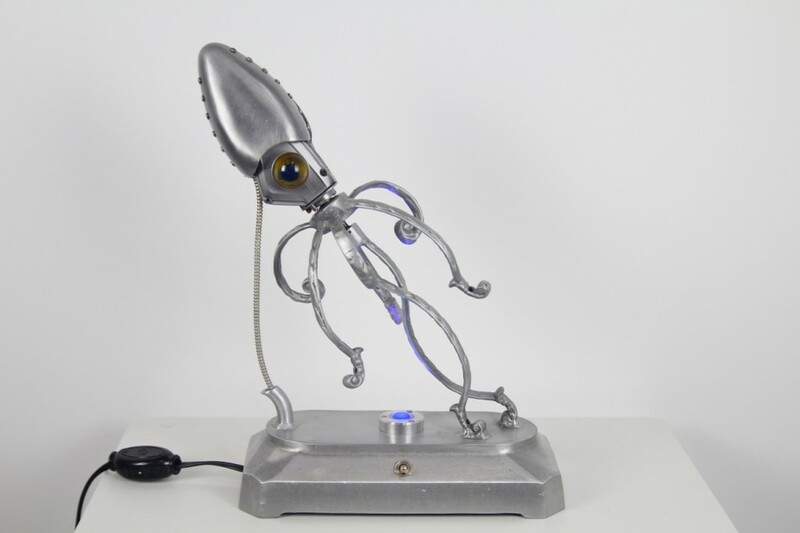 A color changing LED throws a blue/green glow on the underside of the tentacles and the wall behind. 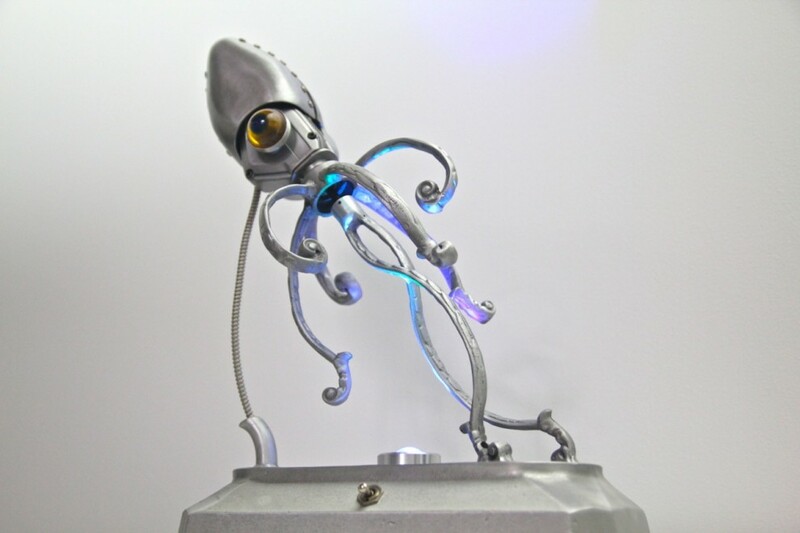 Fishing reel, chandelier parts, toy eyeball, garment steamer, shoe forms, motor, teapot spout, LED, scrap aluminum.